In California, fall is the time to get ready for the winter months and make needed minor home repairs. Termites are usually detected when they swarm in the late summer and fall, but termites threaten your home all year long. Termites are dedicated to their work. They never miss a day and are often detected while doing home remodeling or repairs. Termites infest more than 4 million homes each year, causing an estimated $2.5 billion in damage in the U.S. according to the National Pest Management Association. In California, termite damage is rarely covered by insurance. Of the more than 2,000 species of termites, one of the most damaging species is the drywood termite, which can be found all over Coastal California. 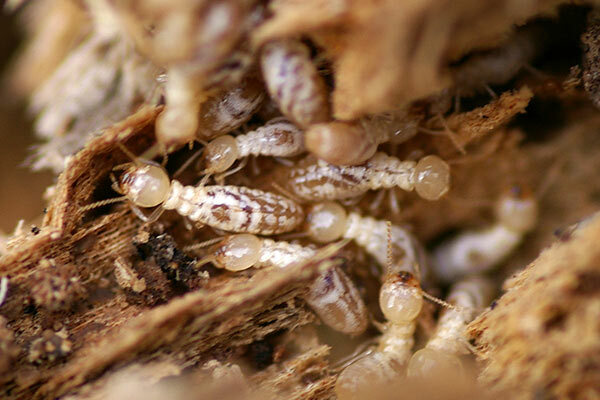 Drywood termites actually live in the wood and do not need contact with soil. During the mating season, which can vary depending on the geography of a given area, all termite species produce winged termites that emerge from their colonies and congregate in large, flying swarms. If you see these swarms or other signs of termites such as discarded wings, droppings, or dead termites, then you already have major termite infestation in your home. 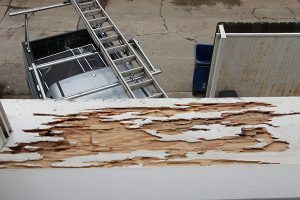 Even buildings with steel frames and masonry walls are targets for termite damage because they generally contain wooden components such as exterior trim, wood doors and window frames, fascia boards, roof joists and sheeting, not to mention wood furniture, cabinetry, flooring, or shelving within the structure. If you think your home has termite damage, contact a termite specialist immediately. Professionals can determine the extent of the termite infestation in your home, and recommend the best possible treatment. Once this is done, it’s time to deal with the damage the termites have done. When repairing termite damage to the exterior of their homes, many people use pressure treated wood for added protection. Gazebos and decks are particularly susceptible to termites if they make contact with the ground. Infested exterior structures not only deteriorate quickly, but they also invite infestation into the backyard, which is dangerously close to the home. When making home repairs and improvements, homeowners certainly have some control over how much food they provide for these damaging pests, and should consider alternative synthetic building products that can make a home more termite resistant. Hi-Tech Termite Control is a leader in termite control and wood repair, including house trim, siding, rafter tails and decks. We provide termite control services throughout San Diego, Orange County, and Los Angeles.